In general terms, the Romans coined the name 'Gaul' to describe the Celtic tribes of what is now central, northern and eastern France. The Gauls were divided from the Belgae to the north by the Marne and the Seine, and from the Aquitani to the south by the River Garonne, and they also extended into Switzerland, northern Italy, and along the Danube. The Scordisci were a major tribal confederation that, by the middle of the first century BC, was occupying the later Roman provinces of Pannonia Inferior and Moesia Superior, the latter of which today forms much of Serbia. They were neighboured by the Iazyges and Illyrian Apuli to the north, and the Ciagisi to the east. The confederation's name is an intriguing one. Its core word, 'scord', cannot be reasonably located in either proto-Celtic or proto-Germanic. The (adjective-forming) suffix, '-isc' (removing the Latin '-i') that is found in both Scordisci and Taurisci appears to be the Germanic suffix, recreated as '-iskaz' in proto-Germanic, and familiar in modern English and German as '-ish' and '-isch' respectively. The Latin and Greek cognates are '-icus' and '-ikos' respectively (it is uncertain whether the proto-Germans added the 's' sound or the Latins and Greeks lost it, but the latter option is preferred here as it provides a simpler explanation for another group of non-Germans in the form of the Scordisci using the '-isc' sound). The proto-Indo-European root is unattested but would have led to all the forms shown above. Scordisci would mean 'scord-like', but what on earth a scord might have been is anyone's guess. This makes it much more likely that the confederation, which would have consisted of the leftovers of a large number of tribes, were named for the location in which they settled. The Scordus mountain (today's Šar Mountain) was located between the regions of Illyria and Paeonia. As for the known tribes of the confederation, the Artacoi name (or Artacii according to Cassius Dio) is based on the Celtic element, 'ardu-', meaning 'high' (from the proto-Celtic *ardwo-), making them 'the high ones'. This is particularly appropriate given their location in the Balkan mountains, but does it suggest a tribe formed only during the Celtic retreat to the mountains in the first century BC or one that existed there previously? In addition, this translation of the name depends on a fairly early 't' to 'd' shift in the Celtic language, something that did not happen until later in Britain, at the other extremity of Celtic settlement. The upheavals in the Balkans could have hurried it along there, but a pre-shift translation of the name would be 'artos', the 'bear people'. Neither Artacoi nor Artacii is entirely correct due to the Greek -oi and Latin -i/-ii suffixes. The name would be Artac, plus whatever unrecorded Celtic suffix there may have been, if any. It remains unclear whether recorded Celtic settlements to the east of Sofia - Burgaraca and Magaris, as well as the settlement of Brentopara - should also be associated with the Artacoi, or with the Serdi tribe. To back up the likelihood of an early 't' to 'd' shift in the Celtic language in the Balkans, the Meldi name makes no sense with a 'd', but if it was originally a 't' then it means 'honey', from 'meli(t)'. By extension the tribe could have been the 'mead drinkers'. But if the same rule applies to the Serdi, then their name is rather unusual, as 'serto-' means 'lewd' in proto-Celtic! There is no s-e-r-d sequence as an alternative, which is puzzling, so the only other option is a local name picked up by the Celts and altered to fit. By the first century BC the confederation occupied a large pocket of territory in the Balkans, surrounded on all sides by Illyrians and other non-Celts. The Danube seems to have run directly through the centre of this territory, with Sirmium lying on their western border and Novae on the eastern. They arrived there after leaving the main body of Celts in modern Germany and the Alps, and migrating into the Balkans during the third century. According to Roman propaganda (penned by Ammianus Marcellinus in this instance) they were accustomed to offering up their prisoners to Bellona and Mars, and drinking blood from the skulls of the murdered prisoners. 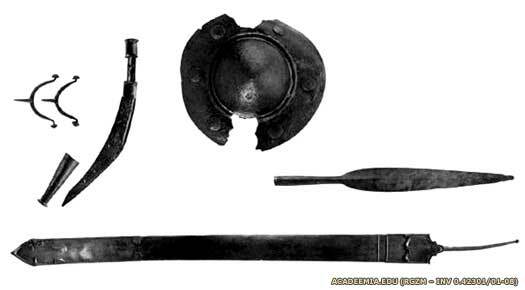 Although undoubtedly rough and ready by Roman standards (which were hardly without blemish when it came to shedding blood), they were probably no worse than most other Celtic tribes. The ethnic background of these Celts is often disputed. Although the majority opinion prefers a Celtic origin, they have also been referred to as Illyrians and Thracians, while their names suggest a Belgic origin, like that of the Taurisci and possibly even the Galatians. Once they arrived in their new homeland, the various elements of the Scordisci often acted independently of one another, raiding and roaming into Dacia, Illyria, and Thrace. They also formed various collectives, the two most well-established being known to later scholars as the Scordisci Major (to the west of the River Velika Morava) and the Scordisci Minor (to the east of the same river). The most likely solution to the question of their origins is that they lived in the Balkans for almost three hundred years before full integration into the Roman state, so it would have been quite natural for them to have integrated themselves into the local populations. Celts invade Greece during the first part of the century. Many move on to found Galatia. The remnants join together to form a confederation that finally settles at the junction of the rivers Savus and Danube in the Balkans. 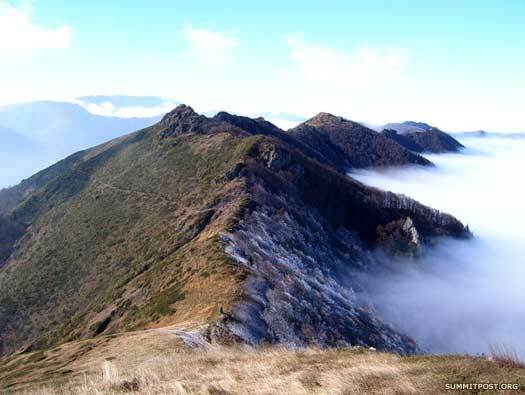 They adopt a name which highlights their acceptance of this territory as their new home, taking the mountain's name itself as the 'people of the Scord' - the Scordisci. They probably pick up elements of many of the local peoples along the way, Dacians, Illyrians, and Thracians. From there they raid into Macedonia, weakening the kingdom and later forcing a good many of the Roman governors there to campaign against them during the late second and early first centuries BC. Having recently defeated the Macedonian kingdom in the Third Macedonian War, Rome appears to be dominant in south-eastern Europe. Little resistance is expected from the various tribes of Greece, Thrace, and the Balkans. And yet it takes a century and-a-half to fully subdue both the hard-fighting Thracian tribes and the Dacians and Celts of the Balkans. In this year a minor clash takes place between Rome and the Scordisci, although the details and location are unknown. The four client Greek republics are dissolved and Macedonia officially becomes the Roman province of Macedonia, which also includes Epirus, Thessaly, and areas of Illyria, Paeonia, and Thrace. With these regions under tighter control, Rome is free to take a tougher line against the recalcitrant Scordisci tribe in the Balkans and the various Thracian tribes to the east of Greece. 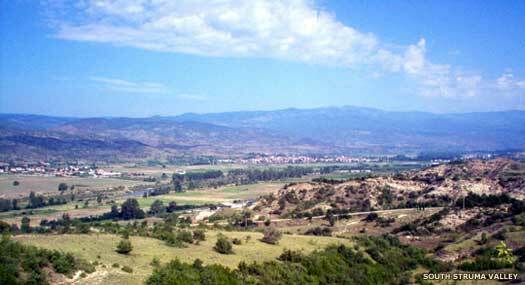 A Roman army led by Consul Gaius Porcius Cato enters Thrace's Rhodope Mountains via the Struma Valley. Eliminating the barbarian threat here will allow Rome to expand into what is now western Bulgaria. However, the terrain quickly becomes heavily forested, making it ideal for surprise attacks while limiting movement by regimented forces. The consul has apparently underestimated the situation completely, with the consequence that his forces are destroyed. The Celts enjoy such an overwhelming victory that they press on to attack the garrison at Heracleae Sintica. The garrison is unprepared, despite having witnessed the Roman invasion of upper Thrace. As described by Frontinius around two centuries later, the Scordisci use a small mounted force to pretend to drive off the garrison's livestock, provoking Lucullus into sending out his forces to drive them off. The main body of Celts immediately attacks, massacring the outnumbered Romans. Lucullus and eight hundred of his men are slain. Dreams of Roman expansion are rudely terminated. The Scordisci find themselves under attack from the north, a potential weak spot since much of their defensive effort will have been focussed on the south for the past three decades. 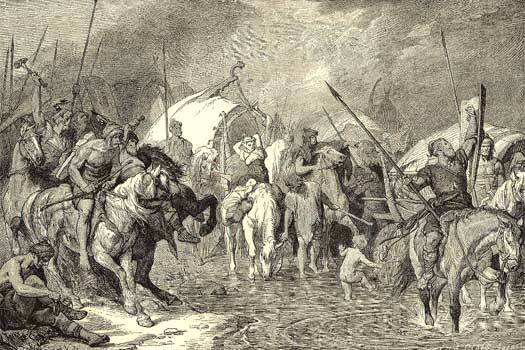 A mass migration by the semi-Germanic Cimbri has brought them into the Balkans (or has pushed other tribes into the region, such as the Boii who are known to enter the Norican kingdom south of the Danube). These fresh invaders are finally stopped near the Celtic settlement of Singidunum (modern Belgrade). 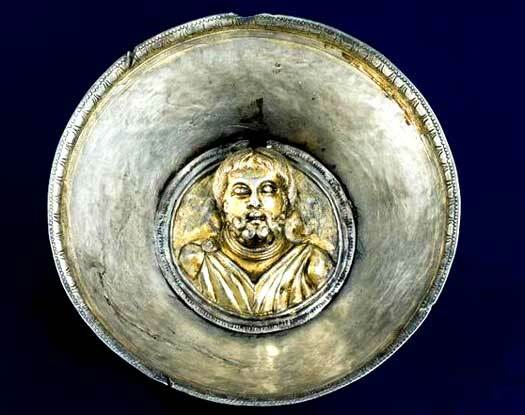 They may be able to indulge in some looting first, this being a possible date for the disappearance of the Gundestrup cauldron, a famous Scordisci treasure. The Cimbri now turn westwards, relieving the Scordisci of a second ever-present threat. The Scordisci victories provoke retribution by Rome. The Scordisci are attacked in Thrace by Consul Livius Drusus, although this appears to be a relatively minor thrust that is intended to provide a short term response to the losses incurred two years before. The new Roman governor of Macedonia, Appius Claudius Pulcher, leads a large army against the Scordisci confederation. It is useful to note that the Scordisci name is used by Rome to refer to all of the Celts of Thrace, whether they are in modern Bulgaria or Serbia, or in the north or south of the former. In this particular case, the attack is against the Celts of the Rila and Rhodope mountains in south-western Bulgaria, those same Celts who had destroyed Cato's army and garrison in 114 BC. This time, however, the Scordisci employ different tactics. Pulcher's army is probably superior to Cato's, so he is allowed to penetrate the Thracian mountains unmolested. There, a vicious and drawn-out series of skirmishes and small-scale battles takes place between Romans and natives, with the Celts especially employing highly successful guerrilla tactics to wear down the opposition. Following months of constant alerts, illness, and defeats, Pulcher dies and the remains of his army withdraws from western Thrace. A varying mixture of Bastarnae, Dardanii, Scordisci, and Thracians have met each Roman campaign with a stubborn resistance. Following one particularly successful encounter for the Balkan tribes in this year, that unity is broken by the Thracian tribe of the Getae, who are known to Rome as the Dacians based upon their general geographical position. They are located farther north than the 'core' of Thracian tribes, occupying territory in modern south-eastern Romania and north-eastern Bulgaria. Under the leadership of Burebista, the Getae become convinced that they can be the dominant force in the Balkans. Instead, as related variously by Cassius Dio, Suetonius, Strabo, Jordanes and Caesar, they create the conditions that will finally allow Rome to conquer the whole of the Balkans. In 61 BC the Getae are part of a force that is led by the Bastarnae. Together they inflict a humiliating defeat upon the Roman army of the inept Gaius Antonius Hybrida (uncle to Mark Antony) outside a Greek colony at the mouths of the Danube, at the Battle of Histria. The entire Roman force is massacred, abruptly terminating Roman control of the region. Following the success at Histria, relations between the Getae and their neighbours undergoes a notable deterioration. Suddenly, under the leadership of Burebista, who is apparently guided by a wizard called Deceneus, the Getae launch a succession of brutal attacks on their former allies. The Celts seem to be first on the list, although the Eravisci escape unscathed. The territory of the Boii and Taurisci are laid waste, with the Boii especially being almost genocidally exterminated by Burebista's brutal onslaught. Their territory is subsequently known as the deserta Boiorum (effectively meaning the Boii wastelands, with 'deserta' meaning 'empty lands', or at least land that is sparsely populated). The Scordisci in Thrace follow, their previously unassailable heartland laid open. Next to face Burebista's onslaught are the Bastarnae in Dobruja, who are apparently 'conquered', and then the largely defenceless western Greek Pontic cities. After defeating the Bastarnae, Crassus leads his army through the territory of the Scordisci on their way back to Macedonia. They are attacked by the tribes of the Serdi and Meldi, although the consequences do not appear to be especially serious for either side. A second campaign by Crassus is designed to 'punish' the Scordisci tribes of north-western Bulgaria for their activities in 29 BC (namely the Serdi, Meldi and Artacoi). Cassius Dio states that these tribes have 'never been captured and would not acknowledge his [Crassus] authority, priding themselves greatly upon this point and at the same time inspiring in the others both anger and a disposition to rebel'. It seems strange that these tribes are only now mentioned, three decades after the Scordisci had been broken by Burebista. It suggests that the confederation itself had been broken by the attack, and that these three tribes may now be the only ones capable of mounting any serious resistance to Rome, but on an individual basis rather than as elements of the confederation. The campaign apparently does little more than push them into the hinterland, out of Rome's reach. Archaeological evidence shows a Celtic migration into the mountains from Thrace during this final period of Roman conquest over the more hospitable terrain. By this time Rome has engaged the Thracian kingdom of Sapes to act as a proxy government over local Thracian affairs and to oversee the gradual Romanisation of the region. It seems that Thracian resistance to Rome to any substantive degree has finally come to an end. King of the Artacoi. Surrendered and made captive. Chieftain in the absence of Dinas. Led remaining Artacoi to safety. A prolonged and bloody siege begins. Eventually starved into surrender the aged chieftain, Dinas, is accompanied by his wife and the sick and elderly as they leave the fort and surrender. The fort is sealed behind them, with one of two young leaders, Tarsa, selecting suicide to escape capture. along with his followers. The remaining leader, Turesis, decides that a great many Romans will accompany him in his trip into the afterlife. He waits for the ideal cover - a wild thunderstorm - and launches a ferocious assault on the Roman lines with the women and children right behind the main body of warriors, fighting equally as hard. There is no room for mercy in this fight, and the Celts manage to sweep right through the Romans and into the safety of the forest. Their fort is burned to the ground by the battered Romans, but the time taken to subdue a single fortress means that the campaign against all the others has run out of time and is a failure. Despite the sudden attack on Macedonia by the Scordisci in 16 BC, the Scordisci finally appear to submit to Roman control. Now they are granted a level of local autonomy. As the new century opens, the Scordisci territories are included into the Roman provinces of Pannonia, Moesia and Dacia.